A real estate transaction is complicated. In most cases, buying or selling a home requires disclosure forms, inspection reports, mortgage documents, insurance policies, deeds and multi-page government-mandated settlement statements. A knowledgeable guide through this complexity can help you avoid delays or costly mistakes. 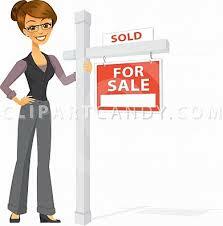 Selling or buying a home is time consuming. It can take 60 days or so for the transaction to close after an offer is accepted. Realtors have done it before. Most people buy and sell only a few homes in a lifetime, usually with quite a few years in between each purchase. Even if you have done it before, laws and regulations change. That’s why having an expert on your side is critical. Realtors provide objectivity. Since a home often symbolized family, rest and security, not just four walls and roof, home selling or buying is often a very emotional undertaking. For most people, a home is the biggest purchase they will ever make. Having a concerned but objective third party helps you keep focused on both the business and emotional issues most important to you.